Join us as we host two industry leaders at the stunning SoHo chocolate boutique to talk about entrepreneurship while enjoying decadent gourmet chocolate & drinks to end summer on a sweet note. As we are approaching the end of the Summer, Ellevate is proud to present Cocktails, Chocolate & Candid Conversation that will feed your mind and stomach! 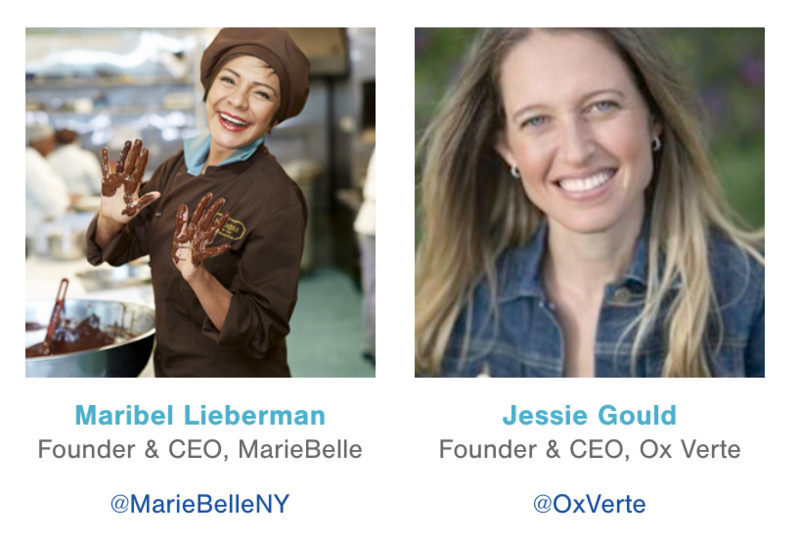 We are sitting down with Maribel Lieberman (Founder & CEO, MarieBelle) and Jessie Gould (Founder & CEO, Ox Verte), two female founders and disrupters of the food industry to talk about starting a business, scaling, leading with your values, and being women in a male-dominated industry. Both successful entrepreneurs will share their insights into business, their struggles, successes, and memories that will leave you in awe. We will have heavenly complimentary chocolate from MarieBelle and divine refreshments at this intimate event hosted at the beautiful MarieBelle showroom. Get in quick and don’t forget to invite your BFF!